Here at the Wooden Furniture Store we have always taken payment security extremely seriously. Our state of the art security and payment systems have always provided a completely secure payment process and we’ve accepted payment by credit, debit cards and Paypal. However we are now delighted to be able to offer our customers a new payment method – we now accept Amazon Pay. Here are the simple steps to Paying securely with Amazon Pay. 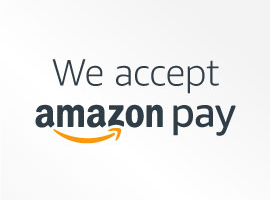 Amazon Payment offers you a quick, convenient and seamless checkout experience. You complete your purchase on The Wooden Furniture Store website without needing re-enter credit cards numbers or shipping addresses. Your transaction is secure. Amazon do not share your financial information with us. You’ll enjoy the same buyer protection plan with The Wooden Furniture Store that you do with Amazon.com by choosing to use Amazon Pay. Once you have placed an order, our logistics team plan your delivery and call you to keep you informed of process. We aim to deliver your furniture with 7 days. Click here to read delivery stories from our happy customers. Using Amazon Payment is simple, so why not use it next time you make a purchase?